Brooks’ Machine Products manufactures a full line of panel punches to accommodate most common jamb-nut receptacle connectors. Because we take great pride in our tools and in our workmanship, we guarantee all of our products for two years. Importantly, all parts are 100% American designed and manufactured. This includes raw materials. At Brooks’, we produce special sized round, double flat, square, and rectangular panel punch assemblies. This includes special shapes that are custom-tailored to meet your needs. Here at our manufacturing facility in Unadilla, New York, we manufacture panel punches from high quality air-hardening tool steel. Then we professionally have them heat-treated and black oxided for the highest level of strength and durability. To place an order or request a custom size, please call us at (607) 369-9376 or email us at bromac.biz. Typical Hoffman-style steel boxes are very close to the limits. Some customers have converted our hand tools for use with hydraulic pulling units (such as Greenlee) with extended tool life and high panel capacities. However, Brooks’ cannot guarantee such modified or altered usage. When you place your order, please tell us if you plan to meet or exceed these capacities. We may suggest optional tool designs that provide a higher capacity at a slightly greater price. 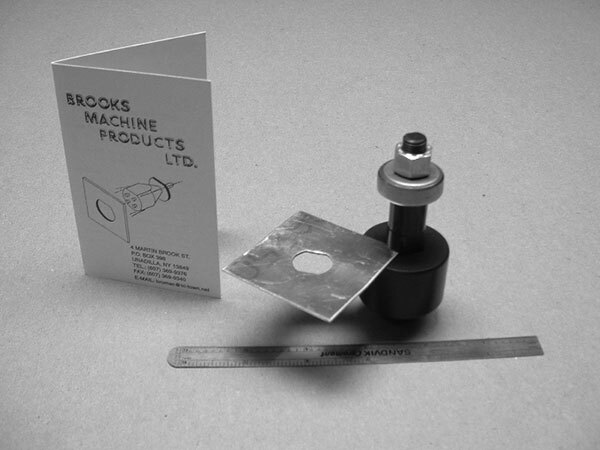 Please note that we guarantee our custom panel punches, too. Because we take pride in our tools and our workmanship, Brooks’ Machine Products guarantees all panel punches for two years. 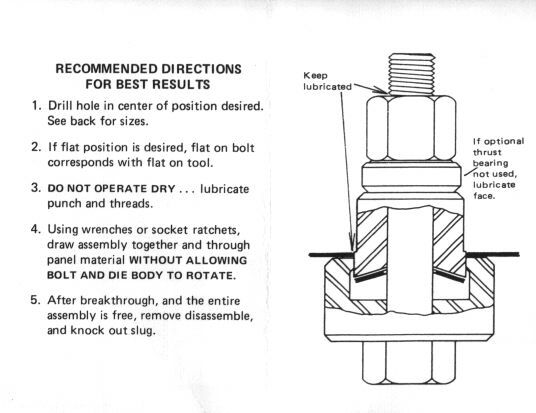 We also guarantee the following punch tool capacities. Visit our catalog for information about standard products or place your order for standard or custom tools. 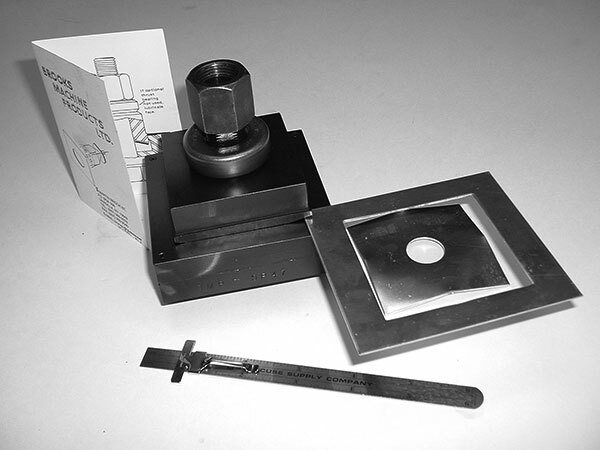 At our manufacturing facility in Unadilla, New York (USA), Brooks’ makes round, square, rectangular, double flat, and other types of panel punch assemblies. We also manufacture panel punches with special shapes to meet custom requirements. All of our panel punches are made from high-quality, air-hardening tool steel. They’re also professionally heat-treated and black-oxidized for the highest level of strength and durability. 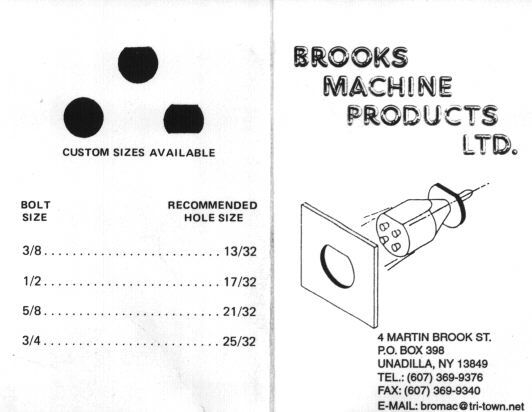 From raw materials through design and manufacturing, panel punches from Brooks’ Machine Products are 100% American.